We found a stash of our earliest t-shirt designs in the bottom of a merch bucket. Limited sizes/quantities. The designs include the Cognitive Erosion shirt, the Pile of Skulls Shirt (including two long sleeve versions! ), and the Bird and Teeth design (gold on black). $5 shipped CONUS (sorry international maniacs!). 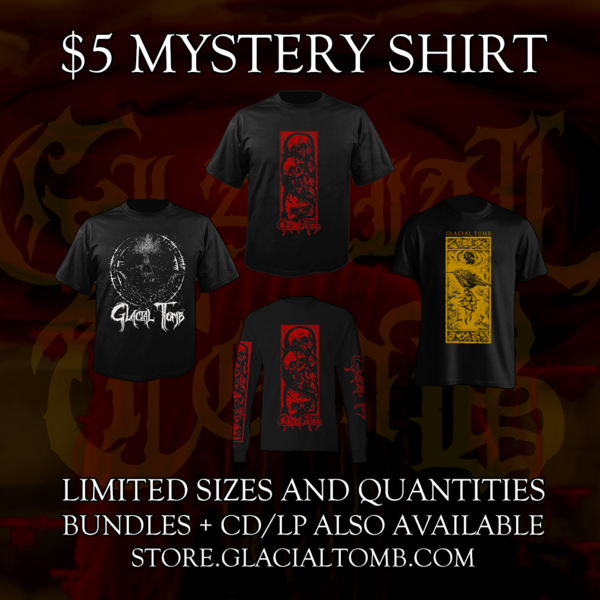 Pair your mystery shirt with a copy of our self-titled debut album on CD or LP and save a couple of bucks. Cheers!